Katharine Meyer Graham was born in New York City on June 16, 1917, the fourth of five children born to Eugene Meyer, a banker, and Agnes Elizabeth (Ernst) Meyer, an author and generous contributor to charity. In 1933, when Katharine was still a student at the Madeira School in Greenway, Virginia, her father bought the dying Washington Post for $875,000. Already retired, Meyer purchased the paper because he had grown restless and wanted a voice in the nation's affairs. His hobby turned into the capitol's leading paper. From an early age Katharine Meyer showed an interest in publishing. At the Madeira School she worked on the student newspaper. In 1935 she entered Vassar College, but the following year transferred to the University of Chicago (Illinois), which she regarded as a more exciting campus. Her father mailed her the daily Post to keep her connected. The Washington Post was her summer job throughout college. Graduating with a bachelor's degree in 1938, she went to San Francisco, California, to take a job as a waterfront reporter for the San Francisco News. She returned to Washington a year later and joined the editorial staff of the Post, where she also worked in the circulation department (department in charge of keeping track of the number of papers needed for subscribers and routes). On June 5, 1940, she married Philip L. Graham, a Harvard Law School graduate and clerk for Supreme Court Justice Felix Frankfurter. Her husband entered the army during World War II (1939–45; a war fought between Germany, Japan, and Italy—the Axis Powers—and Great Britain, France, the Soviet Union, and the United States—the Allies) and she gave up reporting to move with him from base to base. When he was sent overseas, Katharine returned to her job at the Post. After his discharge in 1945, Eugene Meyer persuaded Philip Graham to join the Washington Post as associate publisher. Meyer, who had a warm relationship with his son-inlaw, turned the business over to the Grahams in 1948 for one dollar. Philip Graham helped his father-in-law build the business, acquiring the Post 's competitor, the Washington Times Herald, in 1954. In 1961 he purchased Newsweek magazine for a sum estimated to be between eight and fifteen million dollars. He also expanded the radio and television operations of the company, and in 1962 he helped to set up an international news service despite his growing mental shakiness. commitment led to a controversy over constitutional rights in June 1971. The Post, along with the New York Times, struggled with the government over the right to publish sections of a classified Pentagon study of U.S. military involvement in Vietnam, which was compiled during President Lyndon Johnson's (1908–1973) administration. A court order to stop the publication of the documents led to a U.S. Supreme Court call for a decision. In a decision judged a major victory for freedom of the press, the Court upheld the papers' right to publish the "Pentagon Papers." Further controversy followed in June 1972, when an investigative reporting team, Carl Bernstein (1944–) and Bob Woodward (1943–), began to probe the break-in at the Democratic National Headquarters in the Watergate apartment complex. Their articles in the Post linked the break-in to a larger pattern of illegal activities, which led to the blame of over forty members of the Nixon administration and to the resignation of President Richard Nixon (1913–1994) in August 1974. It was newsbreaks like these that granted Graham status as the most powerful woman in publishing. As chairman and principal owner of the Washington Post Company, she controlled the fifth largest publishing empire in the nation. In the period from 1975 to 1985 profits grew better than 20 percent annually. In 1979 Graham turned the title of publisher over to her son Donald. But she remained active in all areas of the business, from advising on editorial policy (opinions the paper would stand behind) to making plans for not only the Post and Newsweek, but also the Trenton Times, four television stations, and 49 percent interest in a paper company. In Washington she was an impressive presence. Heads of state, politicians, and leaders in journalism and the arts gathered at her Georgetown home and for weekends at her farm in northern Virginia. Under Graham's leadership the Washington Post grew in influence until it was judged as one of the two best newspapers in the country. It was read and consulted by presidents and prime ministers in this country and abroad and had a powerful influence on political life. At the same time the Post, which boasts a circulation (the number of copies sold or delivered) of 725,000, serves as a hometown paper for a general audience who enjoyed the features, cartoons, and advice columns. Graham also became an award-winning author in her later years. In 1997 she published her memoirs, Personal History, which earned her a Pulitzer Prize for Biography in 1998. 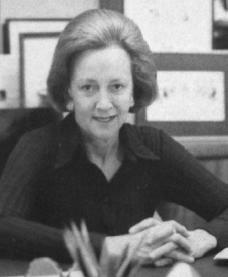 Katharine Graham was described as a "working publisher." Determined to preserve the family character of the business, she took up the reins after the death of her husband and worked hard not only to build but to improve her publishing empire. A forceful and courageous publisher, she knew when to rely on the expert advice of professionals and allowed her editors maximum responsibility. At the same time she strengthened her publications through her willingness to spend money to attract top talent in journalism and management. On July 17, 2001, Katharine Graham died in Boise, Idaho, leaving the nation grieving for one of its best-loved female publishers. Katharine's impact on America was evident in the televised National Cathedral funeral watched by American citizens far and wide. She was eulogized (remembered after death) by a large array of public figures, ranging from former first lady Nancy Reagan (1921–) and former secretary of state Henry Kissinger (1923–) to Noor Al Hussein (1951–), queen of Jordan. The one quality that each highlighted in Katharine's life was her ability to maintain friendships despite holding a different viewpoint. Katharine Graham had a personal style that is rare in political circles. Davis, Deborah. Katharine the Great: Katharine Graham and the Washington Post. New York: Harcourt, Brace, Jovanovich, 1979. Felsenthal, Carol. Power, Privilege, and the Post: The Katharine Graham Story. New York: Putnam's, 1993. Graham, Katharine. Personal History. New York: A. A. Knopf, 1997.